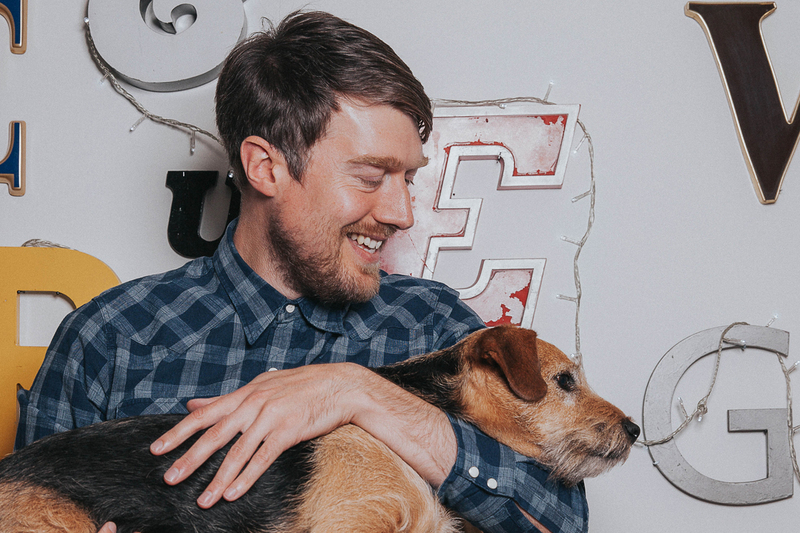 Today marks Rob Lomas’ last day as lead designer at Design By Day before he hits the road as a freelance designer. It certainly feels like the end of an era and the studio is not going to be the same with out him or his lovable sidekick Taffy the Welsh Terrier. There’s certainly going to be a Rob & Taffy shaped hole left in the team, and we hope to work with (them both) into the future. We thought we’d take this opportunity to see what the future has in store for them both and take a look back at his highlights over the last few years in good old interview style! 1. You have a heck of a lot of projects under your belt since being at DBD. Do you have a top three? The product itself is something that I’m fully behind too with it being eco friendly, affordable and customisable. It’s also a great example of when all the different people and elements of a project align nicely and then some kinda design magic happens which results in something that everyone can be proud of. National Libraries DayAnother project that I’ve really enjoyed working on and feel proud of is the National Libraries Day animation we worked on for Arts Council England. National Libraries Day was a nationwide celebration of libraries and the aim of the animation was to get more people (especially children) to be aware of how great libraries are. The paper craft style of this animation pushed us all out of our comfort zone a bit as we’re all full on vector addicts here. This was a real challenge to get right at first, but it ended up with a really satisfying and relevant animation. As a result the animation had over 60,000 views in the first 24 hours of its release. Playtime was the final ever exhibition to be held at the iconic Cornerhouse gallery before it became HOME and moved to a new location. We were tasked with creating the branding for Playtime along with all the promotional materials including invites, posters, adverts and signage. For this project I was able to explore a few different typographic approaches which I really enjoyed working on. Again this is one of those projects where a bit of design magic happens along the way and I was really happy with how the final wordmark came together and how well it worked across all the different applications. 2. You’ve been with DBD for 7 years which is 3 years short of the companies age! How would you say you / your approach to design has changed over that time? To a certain degree I feel that my inspiration and approach to a project has stayed the same. It’s my level of ability, skills and confidence that has massively improved. Although I totally believe that when you work in a team day in day out you can’t help being influenced by the people around you. So I think working at DBD for nearly 7 years will have had a really positive effect on me, my approach and design output. 3. You’ve been an integral part of the team for such a long time and helped shape DBD into the company it is today. The public wants to know know: What does the next phase of designer life have in store for Rob Lomas? At the moment I’m going through a period of analysis, basically trying to establish a set of values that best describe what I do and what type of work I want to do in the future. An area that I’d like to look into further is working on some community based projects. I really like the idea of working on more projects that bring people together and make a positive change to people’s lives. Music is something that I’m super passionate about and is another area I would love to work in at some point. Something else that I’ve been exploring and having fun with recently is animated type. I’ll be posting some of this up on Instagram soon. 4. What kind of work of work will you intend to focus your practice on as a freelancer? Branding, illustration and animation for good people. 5. If you could give a graduate designer one piece of advice, what would it be? Do what you love and keep on doing it! Being open, friendly, adaptable and persistent is also essential in getting to be where you want to be.